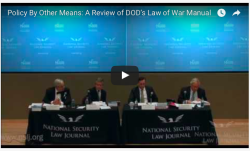 The video from our most recent event, “Policy By Other Means: A Review of DOD’s Law of War Manual,” is now available online. 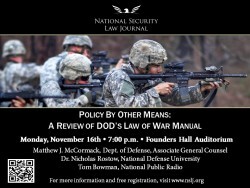 This event, hosted by the National Security Law Journal at the Arlington Campus of the George Mason University, featured a spirited debate on DOD’s recently published department-wide law of war manual. Moderated by Mr. Harvey Rishikof, former Chair of the ABA Standing Committee on Law and National Security, the distinguished panel included Mr. Matthew McCormack, Associate General Counsel from the Department of Defense, Dr. Nicholas Rostow, a Professor from the National Defense University, and Mr. Tom Bowman, National Public Radio’s Pentagon reporter. 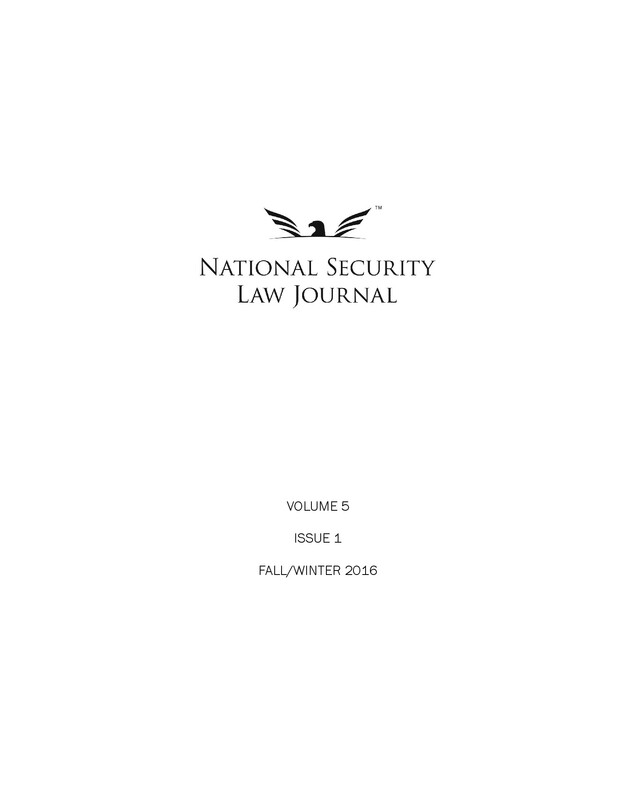 All three panelists commented on the novelty of the Law of War Manual and addressed current controversies surrounding the unprecedented publication, including the Manual’s impact on journalists who are embedded with deployed military units. 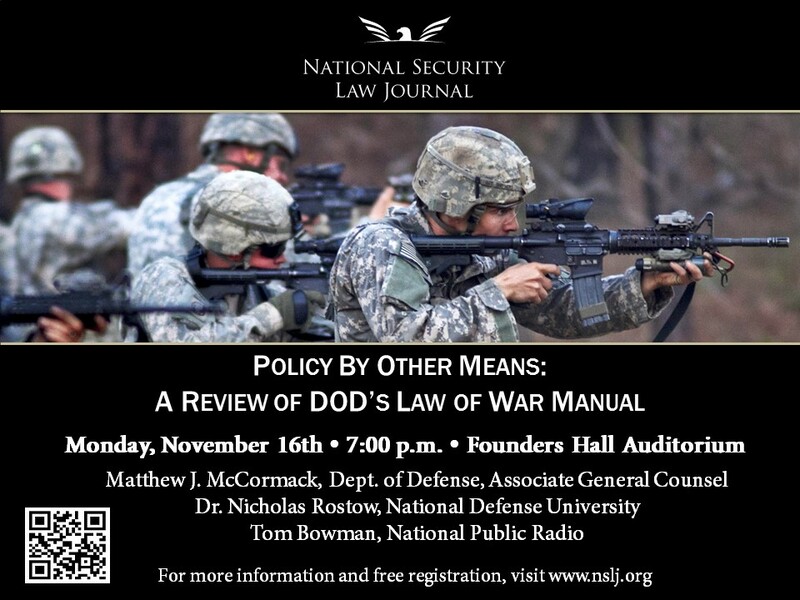 The National Security Law Journal is excited to announce its fall symposium, Policy By Other Means: A Review of DOD’s Law of War Manual. This event will feature three panelists: Mr. Matthew McCormack, Associate General Counsel from the Department of Defense; Dr. Nicholas Rostow, a Distinguished Research Professor from the National Defense University; and Mr. Tom Bowman, National Public Radio’s Pentagon reporter. Although all of the branches have individually published pieces on the laws of war in the past, DOD has never before published a department-wide, comprehensive law of war manual. The panel will discuss the novelty of, and current controversy surrounding the unprecedented publication. This event will be held at 7:00 p.m. on Monday, November 16, 2015, at the Arlington Campus of George Mason University. Refreshments will be provided during check-in, which will begin at 6:00 p.m. Registration is complimentary, but space is limited, so advance registration is encouraged. 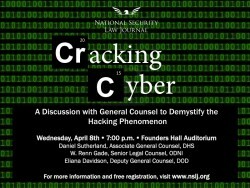 The National Security Law Journal is excited to announce its spring symposium, Cracking Cyber: A Discussion with General Counsel to Demystify the Hacking Phenomenon. 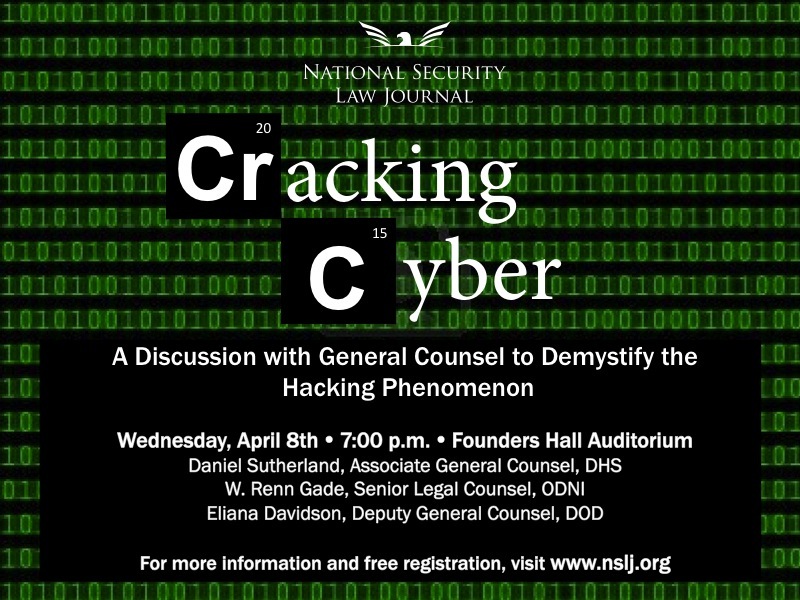 The event will feature three panelists: Mr. Daniel Sutherland, the Associate General Counsel from the Department of Homeland Security, Mr. W. Renn Gade, the Senior Legal Counsel from the Office of the Director of National Intelligence and Ms. Eliana Davidson, the Deputy General Counsel from the Department of Defense. 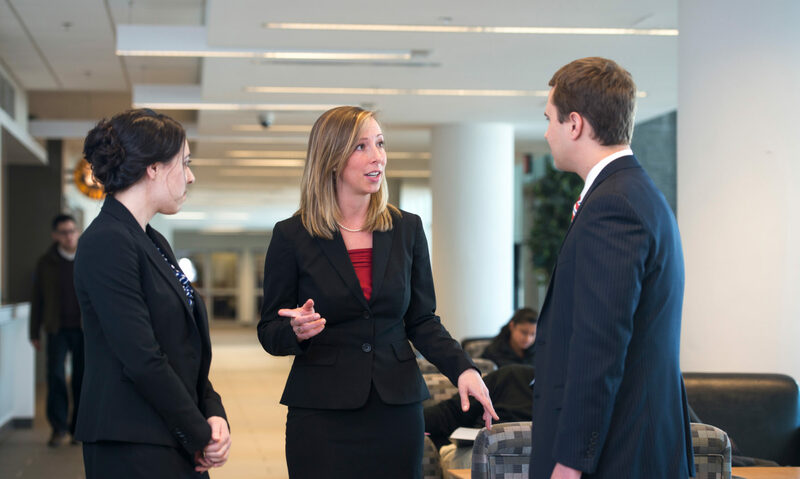 The event will be held at 7:00 p.m. on Wednesday, April 8, 2015, in the Founders Hall Auditorium of the Arlington Campus of George Mason University. Check-in and refreshments will begin at 6:00 p.m.